Login to your Xavier Office365 email account through the student or employee hub. Click the square in the upper left corner. Click the Office 365 link. Once downloaded, run the executable file to install Office. At the end of the install process, you will need to provide your Xavier email address and password to validate the license either immediately or once you open a specific Microsoft office program. Windows - You will be prompted to "Sign in to get the most of office". Click the Sign In button and provide your Xavier email address/password when prompted. 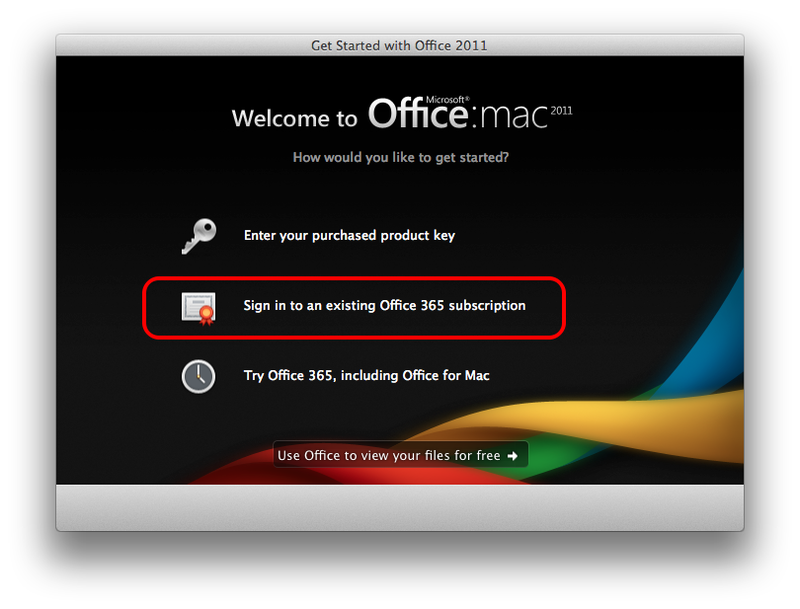 Mac - Open an Office application, and you will be presented with the "Get Started with Office" screen. Select Sign in to an existing Office 365 Subscription and provide your Xavier email address/password when prompted.